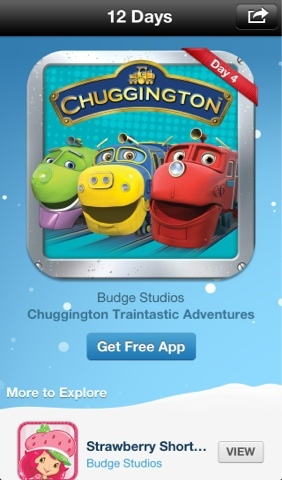 Day 4 of Apple's iTunes Christmas giveaway is Chuggington Traintastic Adventures. It's a Children's App which is previously around £4 so that's a lot of savings. I just discovered that you don't actually need the 12 Days of Christmas App, since it seems that Apps that are offered for free is also free for everybody including those in the US. I don't know about music, books and videos though so stay tuned everyday to see what's free.